Our South Florida Chefs are very excited to meet all of you at A Culinary Affair! 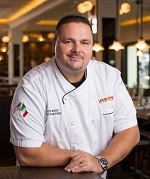 Executive Chef Sean Thompson brings more than 13 years of hospitality experience to Chops Lobster Bar in Boca Raton, FL. Thompson is a Buckhead Life Restaurant Group veteran with more than eight years working at different restaurants in the company. He joins Chops Lobster Bar from our Atlanta restaurant of the same name. 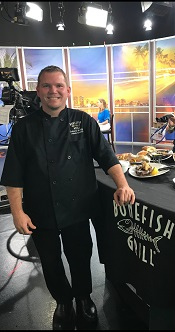 Originally from Memphis, Tenn., Thompson realized that a career fueled by his passion for food was better suited for him after two years in college. Inspired and motivated by his family’s love of cooking and enjoying meals together, Thompson soon found his niche at the Art Institute of Atlanta where he earned a degree in Culinary Arts. After graduating in 2005, he worked at 5 Seasons Brewing for four years under former Buckhead Life Chef David Larkworthy, who stressed daily that “food has integrity.” Thompson carries these words of wisdom into the kitchen every single day where he strives to make others happy by creating a special dining experience for every guest. In 2009, Thompson joined the culinary team at Buckhead Life’s contemporary Italian restaurant, Pricci. From Pricci, Thompson because a Sous Chef at the Atlanta Fish Market and from there he moved to Chops Lobster Bar, in Atlanta, where he worked directly under Executive Chef Ryan Delesandro for three years. Looking to legends like Thomas Keller and Eric Ripert, Thompson works to continuously improve his culinary and leadership skills. He said of his Buckhead Life experience, “I have been so fortunate to grow up in this company. Buckhead Life puts an emphasis on the entire dining experience unlike any other restaurant or restaurant group. The attention to detail is incredible.” Thompson lives in Boca Raton with his two best friends, dogs Buster and Winston. He enjoys clean eating and staying active and his philosophy for both life and career is that hard work ultimately pays off. Chef George Patti is currently Chef/co-owner of M.E.A.T. Eatery And Taproom and the newly opened SALT Fusion Cuisine and was the Chef and Co-owner of the top rated Upper Florida Keys restaurant Tasters Grille from 2009 to 2013. These restaurants have been featured in USA Today Travel 10 Best.com, Travel + Leisure, Tasting Table, Social Florida Guide and Florida Travel and Life. In the past five years he has won local awards for Best Chef (three times in the Keys and once in South Florida’s Burgie Awards), his Yellowtail Entrée and Lobster Mac-n-Cheese, Best Overall Restaurant (Tasters Grille), Soups (twice),Desserts (twice), Burgers (twice) and three years in a row for his Smoked Fish Dip. Chef Patti has been written up in Bon Appetite Magazine for his grilled filet mignon with chocolate port wine sauce and tempura battered bok choy and as Executive Chef and partner at Sweet Sop Restaurant in Ft. Lauderdale, in 2003 was given glowing reviews in the Sun-Sentinel and the Miami Herald, and televised on the national TV show, Finer Living, preparing his signature dish, panseared scallops with sweet potato rum sauce and roasted scotch bonnet. His experiences include Chef de Cuisine at Louis’ in Charleston, SC under James Beard Award winning Chef Louis Osteen; Sous Chef at Sfuzzi Italian Restaurant, Executive Chef for Odyssey Cruises and at Ten Penh all in Washington, DC. and is a Johnson & Whales culinary graduate. 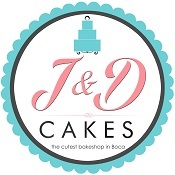 J&D Cakes is a specialty bakeshop founded in December 2015 as a partnership between Joel P Basco and Daniela Borquez Holch. 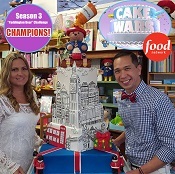 Three months into their partnership, they were called by the Food Network to compete on Cake Wars. They were the winners of Season 3 Paddington Bear Challenge Episode that aired on Aug 22, 2016. They were called back to compete in Season 5 Cake Wars Champs in 2017 (Shrek Challenge Episode). They were also featured on the Cooking Channel’s Cake Hunters Season 2, Twice as Nice Episode. Together they create memorable masterpieces that not only look good but also taste good. This pair pays close attention to details including handmade sculptures, rich fillings and cakes made with fresh ingredients. Their cake creations not only look beautiful and intricate but taste amazing too. They offer classic flavors such as Chocolate Fudge, Vanilla, Red Velvet, Lemon and Coconut. They also channel their Chilean and Filipino backgrounds in cakes such as Dulce de Leche, Banana Pineapple and Ube Macapuno (purple yam with coconut filling). They also offer other baked goods such as tarts, pies, French macarons, brownies and cookies. In addition to cakes and desserts, J&D Cakes offers cake decorating classes, workshops and parties for both adults and kids, ranging from basic to advanced levels. Chef Tommy Katechis has been creating Greek Specialties for well over thirty years. Born and raised in Corfu, Greece he came to the states with the knowledge of his family’s recipes and started his dream of building a lasting legacy in the restaurant business. With a number of years owning and operating a successful restaurant in New York under his belt, he opened here in Delray Beach in 1998. 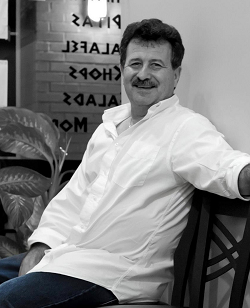 Tommy, along with his family, operates the Original Authentic Greek restaurant in Delray for the last 20 years, serving food with the freshest ingredients and making most of it on site from scratch. Due to his attention to detail and ingredients during this time he has also been supplying his cuisine as a wholesaler to local markets to the area and recently shipping products out of state. Offering authentic Italian cuisine passed down from our founders' family recipes, Carrabba's uses only the best ingredients to prepare fresh and handmade dishes cooked to order in a lively exhibition kitchen. Featuring a wood-burning grill inspired by the many tastes of Italy, guests can enjoy signature dishes, including Chicken Bryan, Pollo Rosa Maria, Wood-Fire Grilled Steak and chops, new Small Plates and classic Italian Pasta dishes in a welcoming, contemporary atmosphere. Carrabba’s consistently ranks as a favorite in the Consumer Picks Survey by Nation’s Restaurant News. Earn up to 50% off every fourth visit by joining Dine Rewards™ at www.dine-rewards.com. For more information, please visit Carrabbas, Facebook.com/Carrabbas or Twitter.com/Carrabbas. 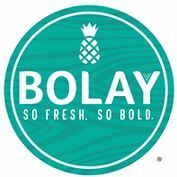 A hot new concept hits Florida, Bolay! Bolay is taking a fast casual approach to fresh, bold and flavorful food that invigorates the palate. This new concept is created by Outback Steakhouse co-founder Tim Gannon and his son Chris Gannon. 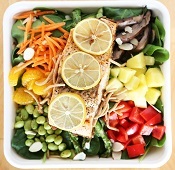 Diners are invited to build their own customized bowls for lunch and dinner and to pack them with rich nutrients, super foods and tasty proteins. Our ingredients are uniquely bold with innovative flavors, including gluten free selections. Bolay built the innovative build your own bowl experience and guests are invited to pair it with refreshing cold-pressed juices, infused teas and local libations. Established in 2010, Bazille has a stylish and comfortable restaurant vibe featuring a contemporary American interpretation of bistro cuisine. The menu's bold flavors focus on great appertizers, salads, sandwiches, brick oven pizzas, entrees and housemade desserts. The menu us complemented by well chosen selections of handcrafted cocktails and wines from many regions around the world. Louie Bossi is not your typical chef. While growing up in an Italian household in New York he remembers the aromas of roasted garlic and fresh meatballs sizzling from his family’s kitchen. Louie was raised by a single mother juggling three jobs, Bossi taught himself to cook at the age of eight. He worked his way from dishwasher to cook at the local pizzeria and this is how Bossi developed a love for the art of pizza making. Relocating to Florida in 2000, Bossi landed his first job with Big Time Restaurant Group as a grill cook. 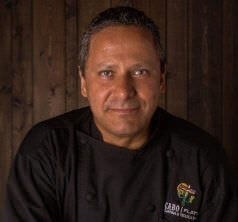 After exploring different positions within their popular portfolio of restaurants, Chef Bossi proved himself as one of the hardest working and most inspired chefs in the company, which then earned him a coveted Executive Chef position at Big City Tavern. Bossi's D.I.Y. approach led him to obtain a certification from Chef Brian Polcyn in the ancient art and technique of charcuterie, as well as a Master Pizza Maker from The Scuola Italiana Pizzaoili in San Francisco. Executive Chef Daniel Shuman is a Colorado native who has been working in the hospitality industry since the age of thirteen when he started as a bus boy in his uncle’s Italian restaurant in Denver. Throughout high school Daniel worked in various restaurants, hotels and clubs in the front of the house, honing his skills in service and guest interaction. After high school, Daniel decided his real passion was cooking and made the switch to the kitchen and attended Le Cordon Bleu Culinary Institute in Atlanta, Georgia. After relocating back to Denver, Daniel worked for a James Beard Award winning Chef Jennifer Jasinski for several years in all four of her critically acclaimed restaurants. After learning the ins and outs of smaller operations, Daniel moved on to the Five Diamond Four Seasons Hotel Denver under Executive Chef Simon Purvis where he was named Sous Chef, and later Restaurant chef for their EDGE steakhouse concept. Daniel then took his talents to New York City where he worked at a 27 course Michelin 2 star restaurant called Blanca in Brooklyn. Daniel also cooked in some of the other top restaurants in the world on his days off from Blanca, including Le Bernadin, Per Se, and Eleven Madison Park. Daniel has recently moved to Florida for his love of golf and the outdoors, and is very pleased to call Lighthouse Point his new home. 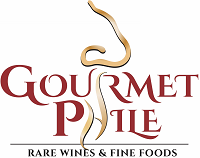 Gourmetphile is a family owned one of a kind boutique wine and gourmet food store. From rare wines to very fine charcuterie and cheese, caviar, gourmet chocolate and other delicacies, it’s a one stop shop for the best of the best. You can have a cheese or charcuterie plate and choose a bottle from their fantastic collection. It’s also the best place to go for a custom gift basket, and their wine tastings include gourmet food pairings. Carrie Spalding attended Florida Culinary Institute and has been with Blue Martini for thirteen years. Chef Carrie has always had a passion for food and enjoys creating delicious plates for family and friends when not at work. 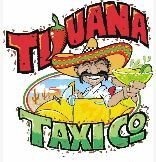 Tijuana Taxi Co. serves delicious authentic Mexican food and the best Margaritas this side of the border! Huge portions, patio seating, amazing cocktails and an unusually inviting atmosphere make THE TAXI one of the hottest eateries in town! Three great locations conveniently located in Coral Springs, Davie and Deerfield Beach, FL. Executive Corporate Chef Antonio Brodziak has displayed his culinary talents at internationally renowned restaurants in New York, San Francisco, Denver and Acapulco. A native of Mexico City, Brodziak grew up cooking traditional Mexican food with his grandmother. He received formal culinary training at the Universidad Ibero Americana. After graduation, the young Brodziak apprenticed under Alicia D’Angeli, who was then president of the Mexican Culinary Association and an internationally recognized chef. With D’Angeli, Brodziak learned the subtleties of preparing classic Mexican cuisine. In 1994, Brodziak worked at Acapulco’s Madieras, one of the top 20 restaurants in Mexico. There, he was exposed to his native cuisine in fusion with other international flavors. The following year, Brodziak moved to the U.S. It was while working at Savan in New York in 1995 that he became a student of French and Asian cooking techniques. The classic training allowed him to refine his palate and translate his international sensibilities into new masterpieces in his native cuisine that became the foundations of contemporary Mexican. Working as a chef with New York restaurateur Richard Sandoval (Tamayo, Pampano, Isla and Zengo), Brodziak helped open Sandoval’s signature restaurant, Maya. Impressed, Sandoval made Brodziak chef de cuisine, making him an integral part of Sandoval’s team. Maya earned two stars from The New York Times, and Zagat rated Maya one of the top 50 restaurants in New York City. He now features his unique “contemporary Mexican” cuisine at CABO Flats Cantina and Tequila Bar. Brodziak creates his dishes using traditional Latin ingredients and elements, but with his own unique twist. Brodziak has been with CABO Flats since it opened its doors in February 2010. 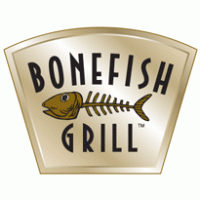 Bonefish Grill started in January, 2000 in St Petersburg Tampa by Chris Parker and Tim Curci. We are now corporately own by Bloomin Brands who also owns Outback Steakhouse, Carrabba’s Italian Grill, and Fleming’s Steak House. Bonefish Grill focuses on every little detail of your experience, anticipate yours needs, and provide personalized service that allows you to enjoy a delicious meal in a comfortable, vibrant atmosphere. Bonefish Grill in known for our fresh fish concept and simply serving great food and drinks and strive on guest indulgence. Proprietor Adam Chieffalo was born in Glendale, West Virginia and moved to Florida at the young age of 5. He began his culinary lifestyle at age 20 when he became a Line Cook for Cheesecake Factory. During then is when he also began taking classes at The Florida Culinary Institute where he received his degree in Culinary Art. His journey with Bonefish started in 2004, when taking on a second job from Cheesecake Factory. 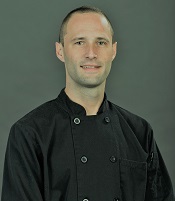 He was promoted quickly with the Bonefish Grill Family and became a Kitchen Manager in 2006. Bonefish strives in promoting within, and so within time, Adam Chieffalo was promoted once again in 2015 to the Proprietor of the Bonefish Grill in Boca Raton. With a busy restaurant career in Boca Raton, Adam tries to find time to do hobbies that he loves. He is very fond of his Harley Davidson and going riding with friends, and when he can, loves camping and fishing. Le Sorelle Restaurant Authentic Italian food, Pizza and Wine, Full Bar, traditional dishes and pizza cooked in wood oven, exclusive environment, great wine cellar in Boca Raton and Delray Beach, Florida, USA. Our family is truly Italian, and we decided to let our customers try the real flavors that can only be tasted in Italy. Each of our dishes is a true work of art ... This is not the usual non-authentic Italian restaurant you can find in the United States. Live a unique experience with the best expression of Italian cuisine, combined with a wide selection of wine, they will make your time happy. High quality ingredients, strict Italian tradition, correctly processed by the expert hands of our Italian Master Chef, become true works of art. The Pizza Napoletana, reconfigured as a world heritage by UNESCO, is prepared by our Master Chef Pizzaiolo Napoletano following the rules of a hundred-year tradition. The preparation of its secret mixture, handed down from father to son, allows you to eat an authentica pizza, delicate and fragrant, cooked in a wood oven, without having to go to Italy. Once you try our food, you will be propelled to return and become our customer, because you can not do without it! 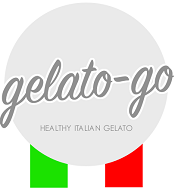 We make our own Gelato base daily with fresh ingredients. Our secret is the meticulous search of the ingredients used in each of the recipes, imported from our homeland of Italy and from all over the world. Some of the ingredients we use in the production of our Gelati are pistachios from Bronte, Sicily, hazelnuts from Langhe, Piedmont, and we exclusively use Vairhona chocolate, which sources cocoa beans of the finest variety from a plantation in Venezuela. We serve you a healthier product by using milk which does not contain artificial hormones or antibiotics. We also make every effort to obtain fruits grown by local farmers for our SORBETTI. And since it’s nondairy, sorbetto is a perfect treat for those who may be lactose intolerant. Plus, it’s fat free! Our sorbetti do not contain any colorings or preservatives whatsoever and this is what makes it a true and refreshing treat. Ben’s is a family-owned and operated restaurant & delicatessen that has been serving up the finest authentic New York Kosher delicatessen and eastern European comfort foods for more than 44 years. Customers love Ben’s homemade soups, hot pastrami, fresh-cut cole slaw, baked knishes and crunchy all you can eat pickles. All of Ben’s soups, salads, sandwiches and dinners are freshly prepared. Ben’s has seven convenient locations: Three on Long Island in Carle Place, Greenvale and Woodbury, and one each in Midtown Manhattan; Bayside, Queens; and Scarsdale, NY; and Boca Raton, Florida with delivery service available to many communities near the stores. Nilson Fernandez is the Executive Chef of Ben's Deli in Boca Raton. He has worked for Ben's since November 2006 and has been devoted to making fresh quality food. With 95% of all our food being made in house it takes a very dedicated individual overseeing everything. At Santo’s Modern American Buffet and Sushi, located in both Coconut Creek and Boca Raton, you will get all-you-can-get access to a variety of 25+ types of sushi, a well-stocked raw bar, a sprinkle of Italian dishes, three types of ceviche, a mixed-meat carving station, and one of the best homemade dessert stations around. We have food for everyone in the family. At our kids station we offer french fries, chicken nuggets, triangle shaped fried mac n’ cheese and much more. Our Brunch buffet offers eggs, toast, crepes, and a few other selections to choose from that are cooked to order with organic eggs. In our bar area, we have numerous wines, beers, and sake to choose from. Emily's love for baking began at her grandmother's kitchen when she was growing up in Caracas, Venezuela. At first, she was watching grandma make delicious desserts and cakes and very soon she was allowed to participate and discovered her passion for baking. It was her favorite pass time after school and she took it as a hobby, however, in her heart she always wanted to study culinary art. She ended up studying Social Communications with a major in Graphic Arts. Years later when she came to the U.S she decided to follow her heart and took up baking and pastry classes at Auguste Escoffier School of Culinary Arts online. 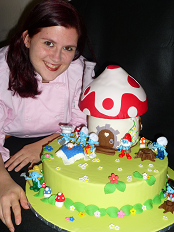 As well as some other courses in cake decorating and confectionery arts. 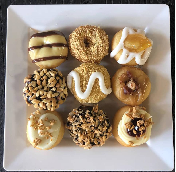 Boca Pastries is an online bakery. We were born out of a personal need to create a way of living starting up in a new country and to further develop new and delicious baked goods and desserts. Our mission is to offer our customers a variety of high-quality homemade products. We are committed to meeting the needs of our customers and exceed their expectations. We are dedicated exclusively to the production of homemade sweets. We are an online bakery. All the desserts are handcrafted by the owners. We only accept orders placed at least 7 days in advance by email or phone call. The menu of La Rural offers a wide selection of high quality meats, specialties, chef's recommendations, delicious appetizers and desserts, that are mostly homemade. La Rural is an ideal place for social gatherings due to its comfortable and cozy atmosphere, inside the restaurant you will find a beautiful terrace overlooking the lake, with capacity for more than 100 people. La Rural is an Argentinian restaurant recognized for offering the Finest Cuts of Meat since 2002 in Weston, FL and since 2018 in Parkland, FL. It began as a store where customers could buy the best cuts of certified meat and gradually grew to become a full-service restaurant with a superb menu and a great selection of wines. In 2015, Emilce Pistone and Gabriel Cambaklian became the new owners of La Rural and since then they have exceeded their promise to offer the best products, the best quality and the best gastronomic experience, making La Rural the best Argentinian restaurant in the country, community of Weston and surrounding areas. 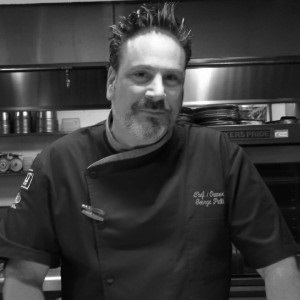 Originally from upstate New York, Russell started his career with Ciccio Restaurant Group as a busser at Green Lemon. In 2014, when CRG opened its’ first Fresh Kitchen (on Howard Ave, Tampa, FL), Russ joined the FK team purely to help make sauces. He quickly progressed up the ranks to prep, line cook, and eventually Chef/AGM. With a long history of family owned restaurants in New York, Russ has been cooking since he was 13. In fact, just before moving to Tampa, he was cooking at his uncle’s successful NY pizzeria. It was when he visited some of his friends, who had decided to attend college at University of Tampa, that Russ fell in love with Tampa, and decided to make it his home. After 3 years at Fresh Kitchen SoHo, CRG was pleased to announce that Russell will be taking the reins of Fresh Kitchen Sarasota as our newest Managing Partner. 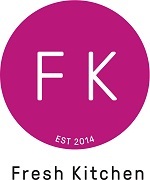 Russell transitioned into his new position as Managing Partner of FK Sarasota effective Monday, February 20th. In the coming months, he relocated to the area, with the hopes to create some strong community ties. And, he just happens to have family in the area! When asked what he is most excited about, he said, “Growing as a person, and making those people around me better. And, siesta key…I am looking forward to the beaches.” He also emphasized that he hopes to take the tight family culture that he helped create at Fresh Kitchen SoHo and bring some of that to Sarasota. Most recently, Russell transferred to Fresh Kitchen Boca, with hopes of building new ties and continuing his growth as Managing Partner. His motto is to grow “a fun crew that loves what they do every day!” If you’ve been on the receiving end of one of his bright smiles, you can tell he undeniably loves what he does. 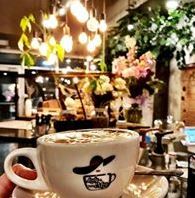 A specialty coffee shop with a passion for people that provides only the very best quality in everything we do. It is our desire to provide a place to feel accepted, appreciated and inspired. We prepare paellas in the place and in the presence of your guests with a high variety of seafood dishes. We elaborate the menu adapted to your need with the highest quality and responsibility. Coco Frey is on a mission to help people understand how to “eat with an open mind,” by providing consumers real nutrition through real food for real lives. She specializes in nutrition education, healthy cooking, natural/real food representation, speaking engagements, and business to business consulting. Her unique combination of talents and tenacious entrepreneur spirit, have driven her to help others understand healthy food options. Since 1996, Coco has accumulated a wide variety of experiences in the food, nutrition, and wellness industries, to include: natural and organic foods sales and preparation, clinical nutrition, consulting on special diets, teaching cooking classes, working with food companies to develop healthier menus and product lines. Also, she has been involved in a variety of public speaking activities, participated in community health events, and provided nutrition expertise to city/state/federal agencies. Coco graduated with honors from Texas Woman’s University with a Bachelor of Science degree in Food and Nutrition with a minor in Entrepreneurship. She has pursued international education, in Madrid, Spain studying gastronomy and natural living in San Ignacio, Belize. She continues to broaden her knowledge within the food and nutrition system. 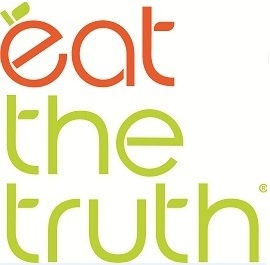 EatTheTruth.com is the business Coco founded in 2004 and has recently relocated to the South Florida region. 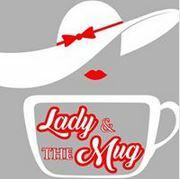 She is dedicated to sharing her knowledge with the general public and is truly passionate about her future endeavors as an educator, ambassador, and product endorser. All Featured Chefs are subject to change without notice!